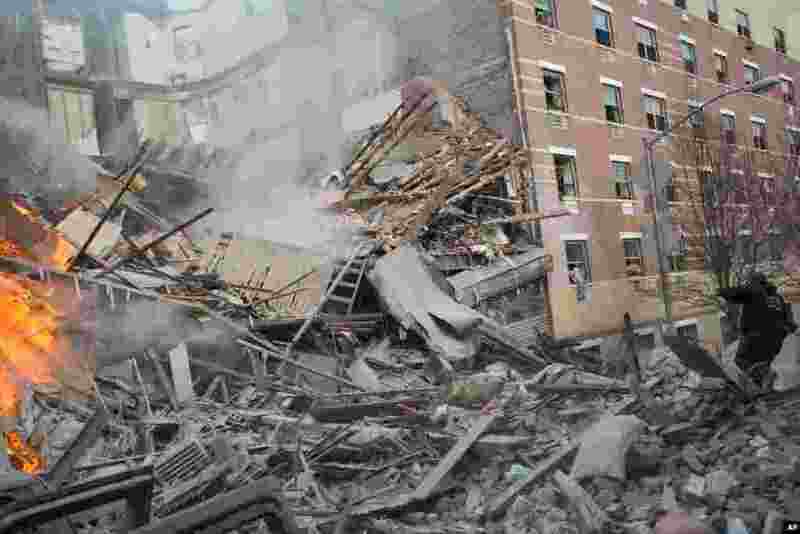 1 Emergency workers respond to the scene of an explosion that leveled two apartment buildings in the East Harlem neighborhood of New York. 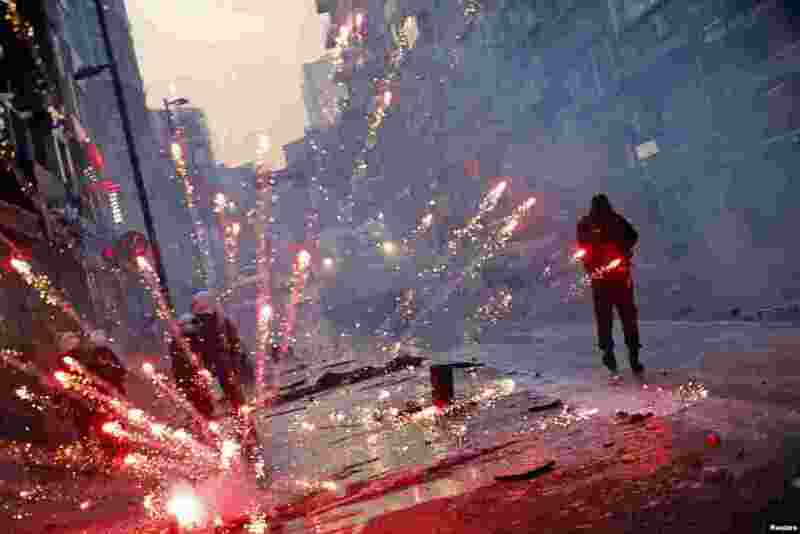 2 Fireworks thrown by anti-government protesters explode behind riot police near Taksim square in Istanbul. The protest is triggered by the death of a teenager who was wounded in street clashes last summer. 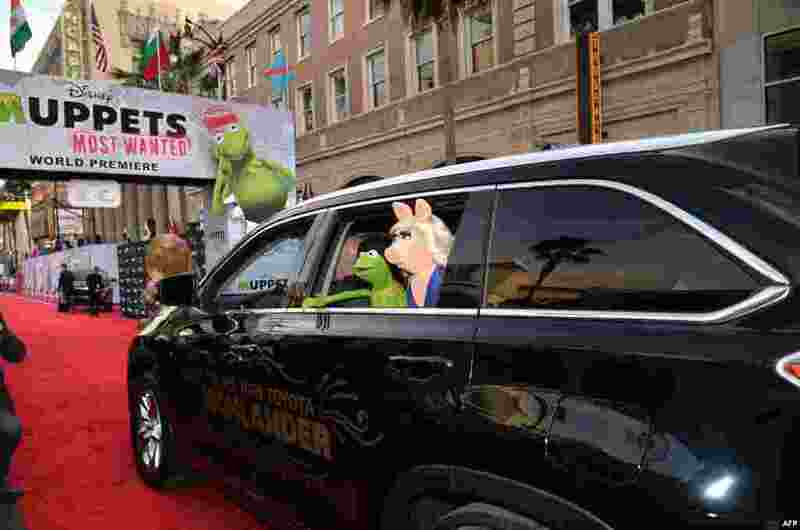 3 Kermit the Frog and Miss Piggy arrive for the premiere of Disney's 'Muppets Most Wanted' at the El Capitan Theatre in Hollywood, California, March 11, 2014. 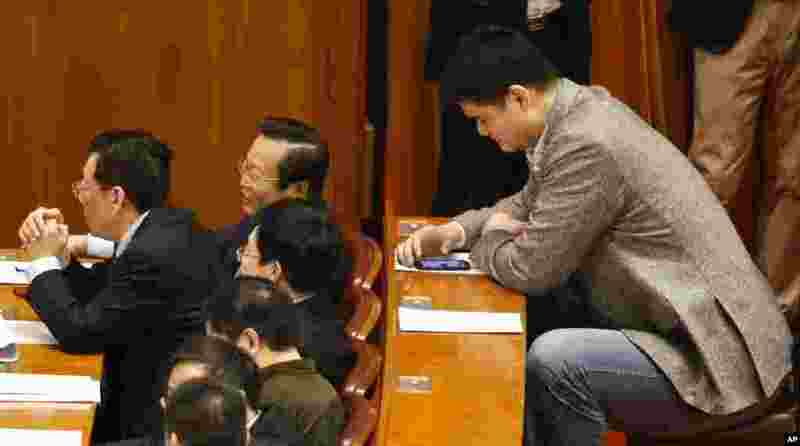 4 Yao Ming, former NBA basketball star and a delegate to the Chinese People's Political Consultative Conference, looks at his phone during the closing ceremony in Beijing's Great Hall of the People, China.